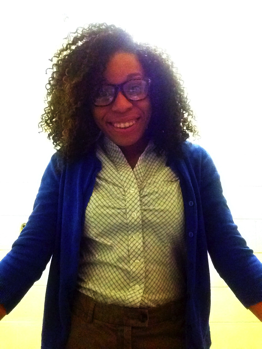 This week we talked with Breyuana Smith for our profile series Fellow Spotlights. We discussed what was appealing to her about joining the Spencer Frye Fellowship Program, what her best experience has been so far, and what some of Breyuana’s favorite things about Athens are. What captivated my interest most about the Spencer Frye Fellowship Program is the bridge between politics and public relations; two fields that go hand in hand. I originally wanted to minor in political science but chose Spanish, so not to lose my fluency. I still have a passion for politics and the character and integrity of Representative Frye and his team really struck me as genuine. This Fellowship has developed both my professional and my personal skills. I have a greater understanding of politics on the state and local levels as well as a greater appreciation for the work of state representatives. Personally, it has further developed my interpersonal skills and really challenged me to think creatively, not just for the benefit of Representative Frye, but for the greater good of those who he represents. After graduating next spring, I plan to attend Radford University in Radford, VA and obtain my master’s degree in Cooperate and Professional Communication. While getting my master’s, I plan to work at Radford as a Residential Hall Director, all the while interning for one of the Federal Government’s Public Affairs Offices. I love how at-home I feel here. I’ve really branched out and met a lot of people, some Athens natives, others not. Through these interactions, I’ve learned so much about the small town that has a lot to offer. I also love how progressive it is. Everyday it seems like a new establishment is being built! So far I’ve enjoyed the times that we as Intern Fellows have all just gathered around and had real conversations with Spencer – no talk of elections, the capital, or bills, just genuine conversation. Those are most memorable. I have a new one! Champy’s on Baxter. The atmosphere is amazing and the food is delicious. Definitely have to go with R.E.M. An oldie but a goodie. Kevin Hart. He’s hilarious and his work ethic is respectable. I love to play musical instruments. I play the piano, trumpet and drums. My dream job would be to work in the office of the Press Secretary for the White House. I also secretly want to go into speech writing so maybe the executive speechwriter for a future president. Politics shape the world in which we live. Think about it, everyone desires to be “politically correct”. It’s kind of like the elephant in the room that is a necessary evil. No one likes to talk about politics but then again everyone wants to talk about it. It’s a crazy world…that’s what I love about it. What are your specific duties for the Spencer Frye team? Previously I have worked on Spencer’s social media sites, both creating and uploading Facebook statuses, Twitter posts, and Instagram posts. Currently, I’m working on another project that Spencer is involved in; a radio show on WXAG called “Reppin’ GA”. I have a lot of radio broadcasting experience so it’s a lot of fun to work from the other angle of production assistance.